"An acorn becomes an oak tree - that's part of a healing process … just as much as when a branch breaks off the oak tree that it seals up the hole so it doesn't lose its sap - those are both different forms of healing. So it's moving to your potential … although sometimes we think of healing as being a matter of survival, healing is also a matter of thrival. Thriving is what it is about." Dr. Miller is a physician, health educator and pioneer of mind-body medicine. He developed some of the first deep relaxation/guided imagery tools and techniques to help people change their diet, exercise patterns, thoughts and relationships to contribute to better overall health. 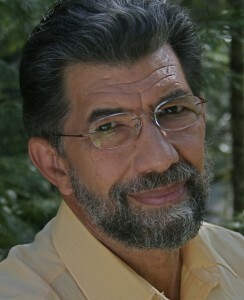 He is the author of many books, including Deep Healing: The Essence of Mind/Body Medicine, which explores the practice of self-healing and peak performance. His most recent book is Our Culture on the Couch: Seven Steps to Global Healing. You can find out more at his website -- http://drmiller.com/thrive.